Make the pizza crust dough and the tomato sauce according to the basic recipes but keep 2 of the canned tomatoes apart. Chop the onion and the bell pepper and fry, with little butter and salt, till onion is translucent. Preheat the oven to 225°C/440°F (fan oven 210°C/400°F). Cube the feta and salami small. Mix with onion, pepper and small cut kept tomatoes.  Roll the pizza dough, on a flour dusted working surface, very thin and cut with a large glass circles about 4 cm larger than the molds. Fill the greased molds with the pieces of dough. Spoon feta-mixture in, top with 1/2 tablespoon of tomato sauce and garnish with grated cheese. Bake the pizza muffins 15-18 minutes and serve hot.